One of the prominent reasons government likes him is indicated by the (former) President of the Law Society, Nick Meagher, who described His Honour as giving “excellent value for money.” PM Gillard wants a cheap and fast enquiry for obvious reasons and McClellan can deliver. Recently, in a speech to the University of NSW Law Faculty, he extended his argument to the abolition of juries in criminal cases. He would like all cases to be heard by a judge advised by one or two “expert” advisors. Naturally enough, given that judgment by one’s peers has always been regarded as a cornerstone of democracy, his ideas have attracted some criticism. 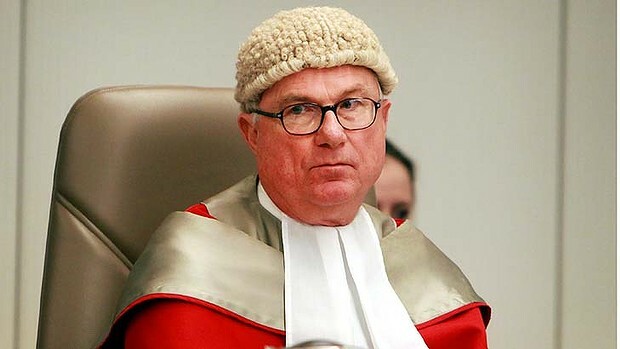 A media article in the Fairfax press notes that “such disdain for juries suggests he is an orthodox elitist” for saying cases are now too complex for the average layperson to understand. Current NSW Attorney General begs to differ, saying that juries for criminal trials bring to court hearings should be retained because “the common sense they bring to court hearings should not be underestimated” (SHM, 14/12/11). Seeing the chief commissioner flanked by his “specialist” commissioners, or “expert” advisors, it looks like he is coming close to his dream of excluding all of us ignorant plebs from decision-making. As he was quoted in 2010, “inappropriate for judges to engage in public debate about their decisions” (SHM, 20/10/10). Mr McClellan is entitled to his views, but it does not auger well for transparency or two-way communication with the public, but this may well be exactly what the government wants. Victims’ groups will have to fight very hard to change this mindset. The critical point of all of this can be summarised as follows: victims have often been silenced because the perpetrators and their protectors have been “important” people. Since the royal commission consists solely of very important people, they have work to do in gaining victims’ trust when recounting their experiences. Unless the chief commissioner deigns to answer questions and justify his decisions, the enquiry will become a farce. This entry was posted in Uncategorized and tagged elitism, Forgotten Australians, juries, Justice Peter McClellan, Lewin Blazevich, Lewis Blayse, paedophiles, Royal Commission into Institutional Responses to Child Sexual Abuse. Bookmark the permalink. posts which consists of lots of helpful facts, thanks for providing such data.